This training was developed by people who have learned from their own experience how to get through an emotional crisis and integrate the experience into a broader understanding of themselves and others. Our approach is based on time-tested, basic common-sense principles of deep listening and interacting in a respectful manner. The developers of eCPR have been users of the American mental health and/or substance use service system and have also provided services themselves. Based on lived experience, they have learned what kind of help can be most useful in the short and long-term. Oryx Cohen, M.P.A. : Oryx is a leader in the international consumer/survivor/ex-patient movement. Currently he is the Director of the National Empowerment Center’s Technical Assistance Center. Oryx is featured in Agnes’s Jacket, a book by Gail Hornstein, where Oryx and fellow Freedom Center co-founder Will Hall are compared to the founders of Alcoholics Anonymous. Before coming to NEC, Oryx was the Co-Director of the Western Massachusetts Recovery Learning Community. Sandra (Sam) Ahrens, BSW, MA, CSP: Sandra (Sam) Ahrens: A certified eCPR trainer for the National Empowerment Center since 2010, Sam she has conducted eCPR certification and facilitator trainings across the United States as well as abroad. In her home state of Wisconsin, she has worked on peer-led initiatives for mental health recovery and wellness, with a focus on training. She has also worked as a teacher, social worker, and advocate in the areas of mental health, poverty and homelessness. Sam is recently retired and happy to have more time to devote to eCPR and other community-based projects. Jenny Speed has worked for more than thirty years in health administration, planning and policy, disability and mental health advocacy. Since her own experience of severe distress, she has been an energetic mental health consumer activist locally, nationally and internationally. She is currently working at Sisters Inside, an organisation providing support and advocacy for criminalized women, eighty per cent of whom experience mental illness, overseeing the development and delivery of services to criminalized women and their children. Jenny is committed to the restoration of the rights of people with a lived experience of mental and emotional distress to enable them to participate fully in their communities. Eileen Rosen, M.Ed. , L.P.C., became a Licensed Professional Counselor in 1989, and is a Certified Peer Specialist, an Advanced Level Wellness Recovery Action Plan (WRAP) Facilitator, and an eCPR trainer based in Austin, Texas. Eileen recently served as Consumer Coordinator for Via Hope Mental Health Resource. She was also Executive Director for Depression and Bipolar Support Alliance of Texas, during which time she brought Texas’ first Certified Peer Specialist training to the state. She serves as Mentor for the Hogg Foundation’s WRAP Program. She enjoys comedy and music, and performed as a troupe member with comedy groups Esther’s Follies and Better Than TV Players. Flora Releford: Flora has thirty years of experience with Texas county, state, and federal health and wellness agencies. She uses her knowledge, experiential wisdom, and education in emotional wellness, whole health, and healing arts to support others in a conscious transformation from mental, physical, emotional or artistic blocks by releasing trauma through a variety of traditional and alternative healing modalities. She has a private Alternative Healing Arts holistic health and wellness practice and a passion for guiding individuals to lifestyle behavior changes and providing evidence-based educational practices in Emotional CPR. Flora is an eCPR trainer, Reiki Master, Life and Recovery coach, and is a certified PS and NLP. Daniel Fisher, MD, PhD: Dan’s life purpose comes from his lived experience of recovery from schizophrenia, which inspired him to dedicate himself to helping others find their voice and recover. He earned an MD, and completed his residency in psychiatry at Harvard Medical School and has practiced as a board-certified, community psychiatrist for 30 years. 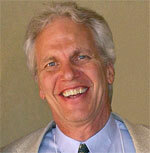 In 1992, he co-founded the federally-funded National Empowerment Center and serves as its executive director. He was a commissioner on the President’s New Freedom Commission on Mental Health, 2002-03. Carolyn Pifer is a Michigan Certified Peer Support Specialist, and eCPR Trainer, She currently works for Central Wellness Network in Manistee, MI. Carolyn is part of the DBT team and works closely with ACT. She has been a leader in for Michigan health and wellness training. Facilitating workshops in; Wellness Recovery Action Planning (WRAP), Stanford University's Chronic Disease and Chronic Pain Self -Management Programs, Smoking Cessation, Whole Health Action Management (WHAM) as well as e-CPR. Prior to becoming a Certified Peer Support Specialist, Carolyn was a Corporate Sales and Training Manager and a former bank vice-president. "I am a strong advocate for integrated health. I understand the devastation that mental illness and addiction can have on a life, and the resilience of the human spirit to overcome and rebuild a life worth living."